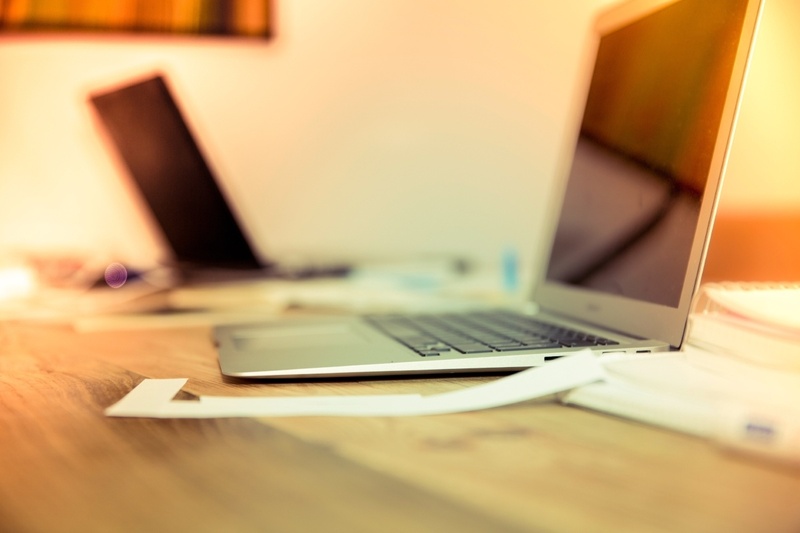 Why is PDF File and Document Tracking Useful? These days, many documents are transferred electronically to people who need to view them, including documents that are sensitive in nature. Naturally, you should be concerned about maintaining the security of these files and have an expectation that they don’t get forwarded to unintended recipients. Logging the viewing of the document helps you keep track of who has accessed the file could be helpful. In cases where the file is compromised, you can then trace back to who has seen the file. You don’t want unauthorized access and you may want to check up on access by authorized users from strange locations. For senders, it gives them the feeling of control and adds some accountability for those who receive the documents. With some solutions, you can even take back the file after sending. Let’s say you send out a pitch deck or proposal for a venture that you’re trying to get investor backing for. You could just send out your pitch, wait and hope that you’re choosing the right time later to follow up, but a more powerful strategy is to know that you’ve chosen a good time to follow up. How will you know? If you track the document being opened and viewed, you can figure out a) that your person has definitely seen the document and b) that they’ve probably had enough time to review it before you follow up. You can then time your follow up to give yourself the best chance of getting a response. If you send deal documents or a proposals, the amount of time people spend on it is indicative of their level of interest. Do people read it once they receive it? Do they open it once, or do they come back to it multiple times? You can then better focus and prioritize your efforts on prospects who show most interest in your content. 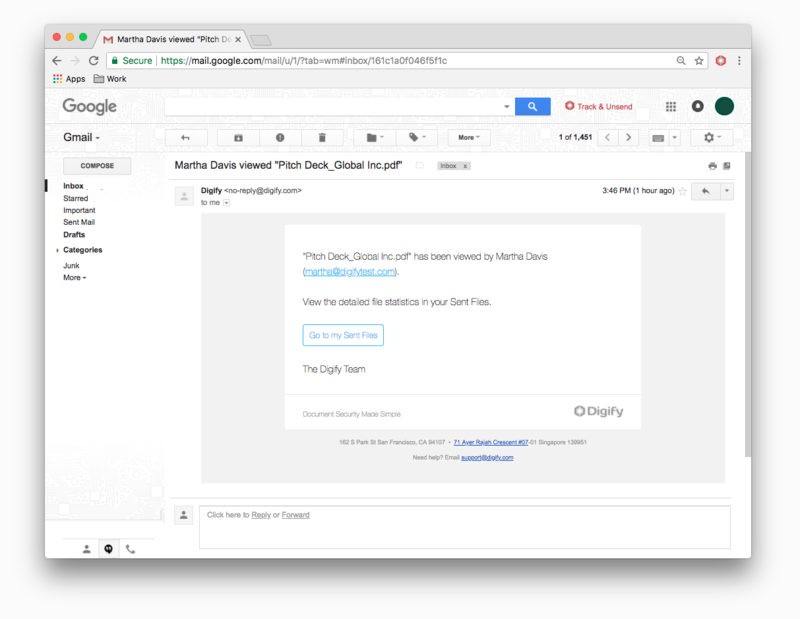 From another perspective, if you are giving away a PDF document as a lead magnet, you can understand how useful it is to the people who sign up for it by checking how much time they spend reading it. You could compare the data between different lead magnets that you use. 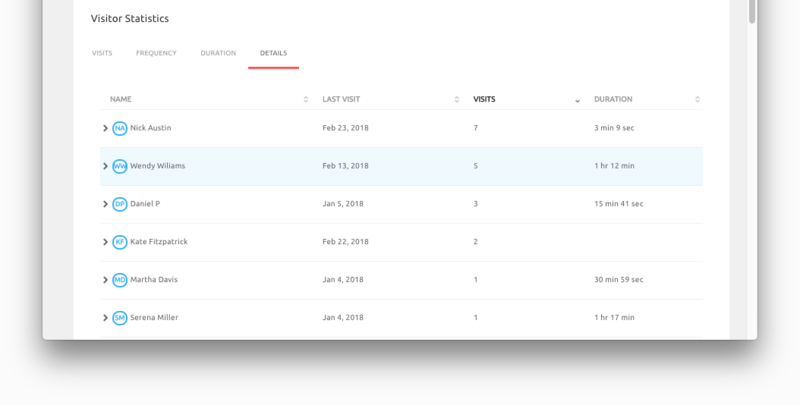 Whether you’re using the Send Files section or Data Rooms section, Digify’s tracking features can let you know who viewed your files as well as the location and duration of views. You can also know how many times your files have been viewed, printed, or downloaded. You can also revoke access to the files if they fall into the wrong hands. Get instant notifications on mobile and email. This allows you to better follow up with the recipient. You no longer need to guess whether they’ve read it or not. 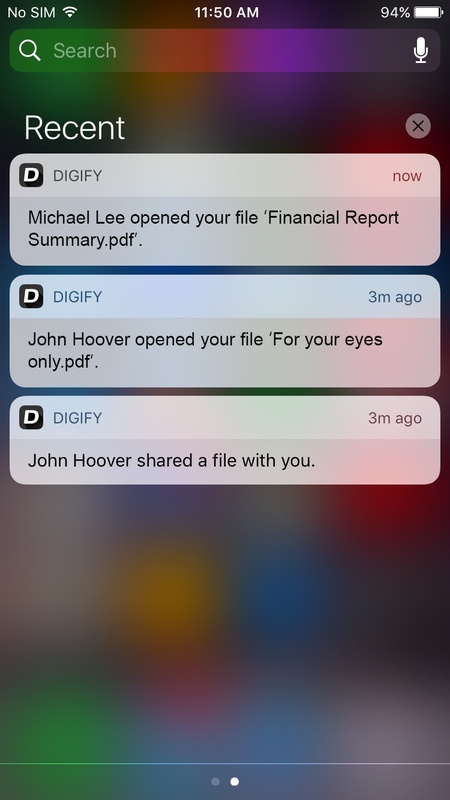 In the Digify interface, you can see a summary of the viewing/download and print for files you’ve sent. Drill down to the details to see a flow of who has seen the file, how many times they viewed it, and from which location. For the security minded, hovering over the IP address and observing the usage pattern will help you know if people are sharing their credentials or the file has been compromised. With Digify’s Data Rooms, you can gain clear visibility over your recipients’ activity. You can see detailed analytics including who has visited, who and who hasn’t visited. From here, you have the ability to send reminders, particularly to those who haven’t read the document yet. Data rooms are helpful for quickly and easily providing you an overview of other document analytics, such as the ability to see rankings for who has spent the most time viewing a document, and who visited the most. You can see which documents are the most popular and all of this information can help you to hone and prioritize your sales efforts. For easy reference, you can also sort, rank and export document statistics. This can be very useful to see who has last visited your data room, for instance. Digital Rights Management (DRM) - You can restrict or prevent PDF and document copying, forwarding or downloading, in an effort to inhibit the spread of your information. Access Control - Set passwords for documents and grant or revoke access to users as needed. Watermarking - Use either the classic, printable watermark which is embedded onto the page, or, use our patented movable watermark to discourage screenshots being taken. Document expiry and self-destruct - You can choose to have documents expire after a certain date and time, or you can set the file to self-destruct after a period, so that it can’t be re-accessed. Digify allows you to use any or a combination of document security features to suit your particular needs. With the use of AES-256 encryption algorithm to protect your files, this is at the highest level of protection, certified by the NSA to protect Top Secret documents. Our balance of security with simplicity makes us a great choice for companies with all sorts of document security needs. You can try out the features of Digify for yourself with free trial. Click here to get started.